As explained in our previous reviews (prototype review, production review) the N3 is a rugged dongle, probably best suited to applications where the SDR could take a beating. The F-Type connector is also preferred by some people as it is fairly commonly used on TV equipment in most parts of the world. Shielding against local strong signals is also excellent due to its double shielding with a shielding can on the PCB and with the metal case. Probably the most defining feature other than its ruggedness and low noise floor is that it can be optionally powered by 5V external power. So it could be used at the end of a very long active USB cable, with power provided locally. 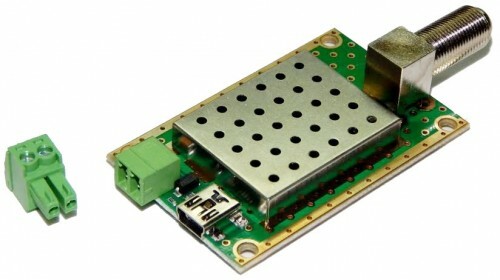 Or if very low power noise is desired, a linear power supply could be used. We now have these N3 dongles available for purchase in our store. 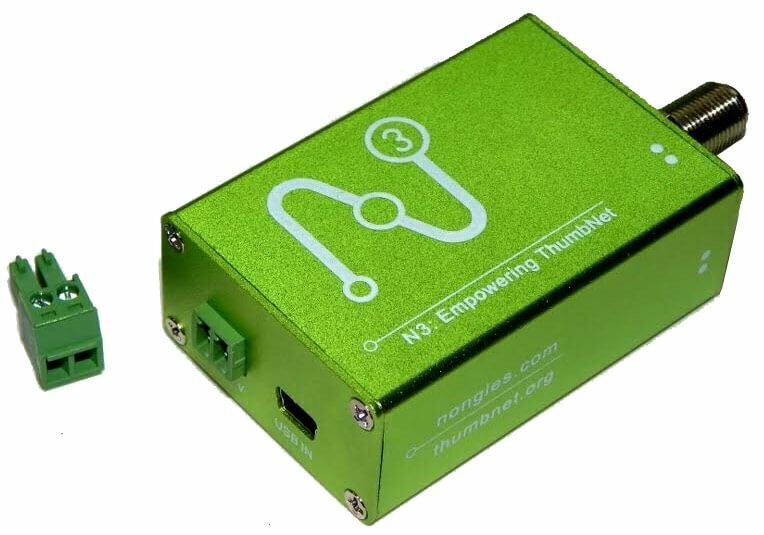 Please note that this is a commission sale, so the N3 will actually be shipped by the Nongles team in the USA once a week. The current price of the Nongles N3 is $33.5 USD + $4.5USD shipping in the USA, or $10 USD shipping worldwide.